An update to the Microsoft Band 2 gives users the ability to add 20 tiles to the fitness band. These tiles can be used for a number of things that the band is used for, such as communication, social media, news, and health. Another new feature allows users to see more text on the Microsoft Band 2 screen when viewing texts, email, Facebook and Twitter. And users now have more control over which apps send notifications to the Microsoft Band 2. To get all of the updates for the wearable, those with the device will have to update the Microsoft Health app on iOS, Android or the Windows Store. With the update, users will be able to challenge their fellow Microsoft Health users to see who can pedal their bike the longest, run the farthest and more. A leaderboard can be set up to track the action. 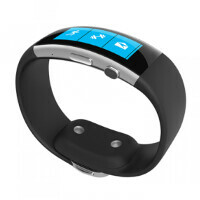 The Microsoft Band 2 is available from the Microsoft Store for $249.99. Every so often, Microsoft slashes the price of the device. If you want to wait for a bargain, keep checking in. I wish I had one. But sadly It would be sitting in my drawer after 3 months. Did they add the ability to rotate the screen? Not everyone wears watches with the face pointing inwards. Still no portrait clock mode landscape.